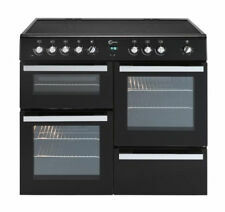 Laptronix compact, high performance Double Induction Hob for safe, fast and efficient cooking. The hob also has overheat and power surge protection. Twin hob with smart black design, hygienic wipe-clean glass surface and blue LED display with pleasingly smooth touch sensitive buttons. 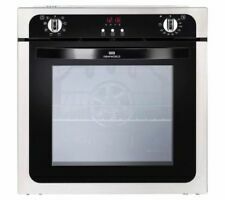 BELLING FSE60DO electric cooker. THE COOKER IS REFURBISHED, IN FULL WORKING ORDER. 60cm wide. AA ENERGY RATED. 6 MONTHS WARRANTY. 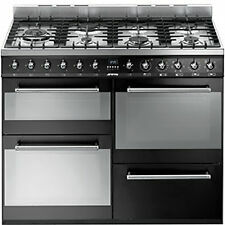 Has ceramic hob with 4 hotplates. Black front with stainless steel doors. 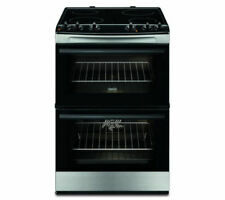 The main oven features catalytic liners for easy stain removal. - Easier oven cleaning with catalytic liners. Easier oven cleaning with catalytic liners. Five cooking zones spread across the ceramic hob provide plenty of space for multiple pots and pans of all sizes. 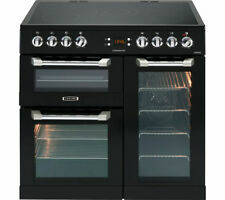 The Cuisinemaster 90 has three ovens for complete cooking versatility. Not only giving you more capacity, but having multiple ovens also enables you to cook foods at different temperatures and avoid contamination of flavors between dishes.